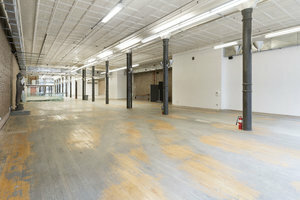 This vast loft space in the heart of Manhattan’s Soho district is perfect for product launches, trade shows, fashion shows, presentations, showrooms, and special events. 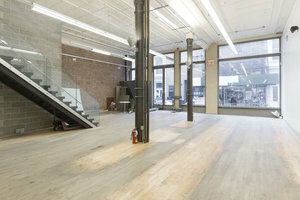 With an authentic New York City loft feel, this unique space offers 3 levels (ground, basement and 2nd floor) each of ~ 10,000sf. 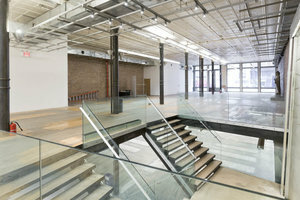 ft. From the ground retail, an internal staircase leads you to a 10,000 sq. foot finished basement with red brick walls. 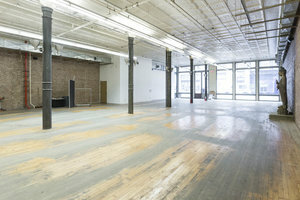 The loft spaces could be transformed into your clients vision. 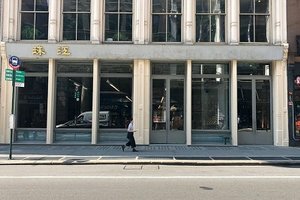 There is a combined total of 100 feet of store frontage floor to ceiling windows for marketing, 16 foot finished tin ceilings, a working waterfall feature , the interiors are one-of-a-kind with an industrial edge. 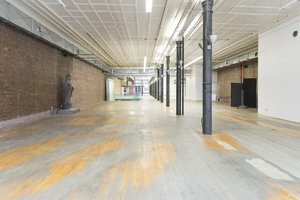 It is well-equipped to host a range of events with facilities including a three phase 200 amp cam loc tie in, plus 110 outlets throughout the lofts spaces, ADA bathrooms. Important Note: This space can't be used to sell merchandise. Pricing is very flexible and discounted rates can be discussed for longer rentals. Additional fees such as utilities, trash or cleaning will be charged separately.